Score Big offered us tickets to facilitate this review. It contains Affiliate links that help support this site and all opinions are our own. I’m a fan of never paying full price for anything. Especially when you’re traveling. Traveling can get expensive fast with the cost of fuel, food and lodging. All of these things are a must so if you plan on doing anything fun while you are in town instead of simply eating and sleeping you’ll want to check out Score Big before you visit. 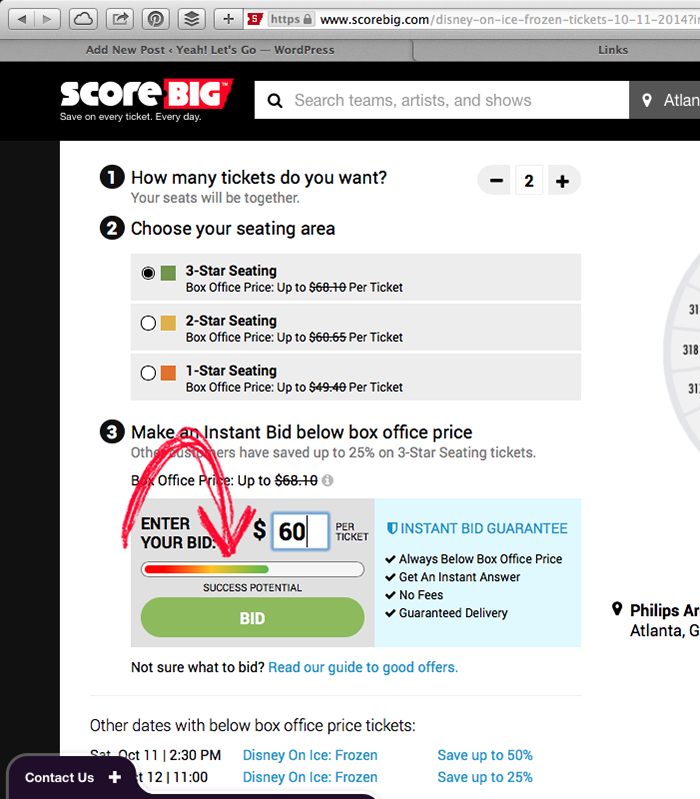 Score Big is a site that offers tickets to things like attractions, broadway shows, sports games, concerts and more at discount prices. Sometimes super deep discounts. Here is a look at how you can Score Big on tickets. First search the area you are staying or your home town. 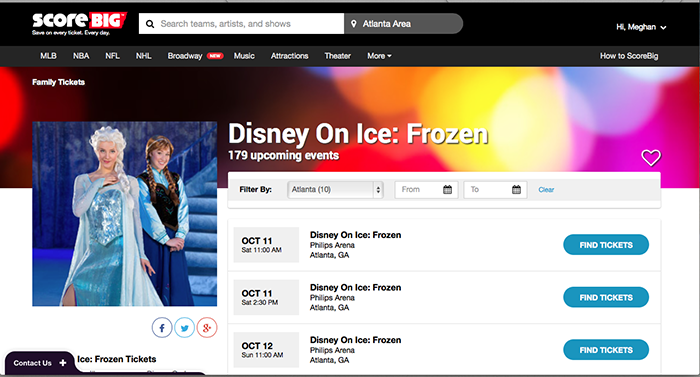 I’ve selected Atlanta and found that Disney on Ice: Frozen is coming to town and I know my kids are going to love it. They aren’t offering a sponsor discount for the show this year but you can get cheaper tickets on Score Big. First select the day and time period you’d like to attend. Next you’ll get a map of the venue and the seating set up to choose the level seating you prefer. 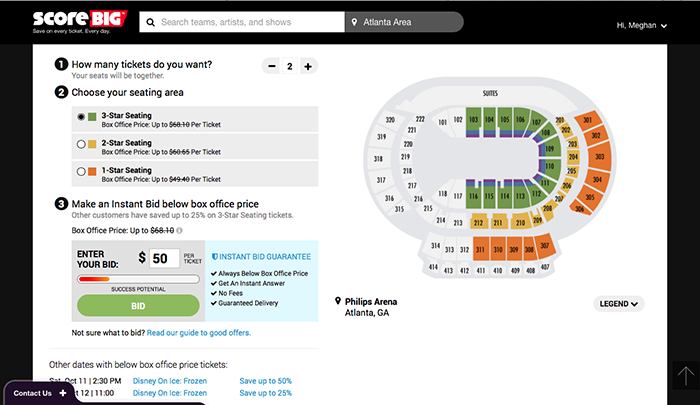 I’ve selected 2 tickets in the 3 star section which is normally priced at $68.10 per ticket before fees and taxes. Now I enter in a bid for the amount that I would like to pay per ticket. To give you an idea I put in $50. Notice the bar underneath the bid? That bar gives you an idea whether or not the bid will be successful. In this case, it’s low. If I raise the price of my big the bar changes color indicating that I have more of a chance with a higher bid. It also gives you a break down of which nights you can save the most money down at the bottom. Perhaps a different time can save you 50% instead of 25% on your tickets. If you bid is accepted it will tell you as soon as you hit submit. I always start low and then work my way up. It will lock you out of an area though for 24 hours. It’s their way of getting you to bid wisely the first time. It’s a great tool. In Atlanta there are recurring tickets that are always listed on the site, such as Legoland Discovery Atlanta. 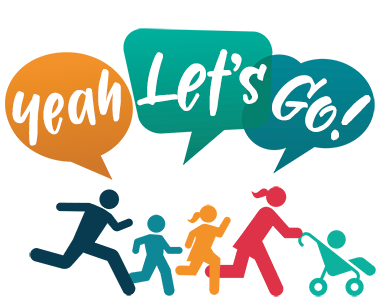 It’s a super easy tool that can help save you money on things to do around town or while visiting another town, what’s now to love!